Alex is a partner in the firm’s antitrust, competition and trade group. Clients turn to him for strategic, commercially focused advice on complex transactions and antitrust investigations. 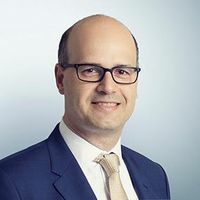 His experience of working in London, Brussels and Beijing – and of regularly co-ordinating antitrust strategy across multiple jurisdictions – enables him to offer a truly international perspective. In addition to obtaining merger approvals and helping clients through cartel and abuse-of-dominance investigations, Alex also advises on state aid law, utility regulation and distribution arrangements. He has experience across a wide range of industries, with particular expertise in consumer products, defence, financial services, pharmaceuticals and regulated utilities. Alex is based in London and often works out of Brussels. In 2008/09, he spent 18 months in Beijing jointly leading our China antitrust practice, and headed our response to the introduction of China’s anti-monopoly law. Alex speaks English and French.